From the positive reviews and smiles adorning the website of Colorado-based Rock Creek Veterinary Hospital, one can see that Dr. Patrick Kalenzi has built a successful business providing high quality animal care at an affordable price. But Dr. Kalenzi’s road to success has been a winding one with plenty of struggle. He was born in Uganda, the child of Rwandese refugee parents and experienced violence and abject poverty from an early age. The only safe haven he knew was the comfort of the cows and dogs that lived with his family in his grandfather’s home. After years of hardship and hard work, Dr. Kalenzi brought himself to America where he was able to complete his veterinary training as an homage to the bond that he and his grandfather shared. He worked at a private practice in Boulder, Colorado for 14 years before deciding to pursue his dream of owning his own veterinary hospital. In order to help with start-up costs, Rock Creek Veterinary Hospital took on high-interest loans. Dr. Kalenzi soon realized, however, that the payments simply weren’t manageable if he wanted to continue to grow the business. Credibility Capital was able to refinance two daily pay loans for Rock Creek Veterinary Hospital and provide additional working capital for future expansion. As Dr. Kalenzi told our team, he’s “just getting started”! 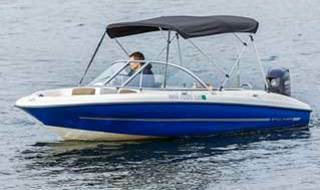 Because Seattle, Washington is nestled perfectly between Lake Washington and the Puget Sound, the many local islands and inlets provide a multitude of opportunities for boating. Seattle native Jim Lowry saw an opportunity: eliminate the expense and hassle of owning a boat by starting Seattle Boat Share. Besides offering daily rentals and instruction, the company offers a season "Sharepass" subscription that permits access to all of the company's fleet from March 1st through Halloween. Before coming to Credibility Capital, Jim had been using high interest merchant cash advance to finance his business. Credibility Capital was able to offer a lower-cost monthly-pay loan that saved Jim thousands per month. After being a repeat Credibility Capital customer for over two years, Jim ended up eventually getting an SBA loan and paying down his Credibility Capital loan balance entirely (no prepayment penalty of course). We were sad to lose Jim as a customer but very proud to be able to bridge his growing franchise from MCA to SBA! If you're in the Pacific Northwest and interested in checking out the waters -- give Seattle Boat Share a call, and tell Jim we sent you. Friends Dan Richfield and Roger Benton met at a trade school in Brooklyn and now make furniture from "live edge slabs" -- full-width boards that feature the tree's natural shape on both sides. 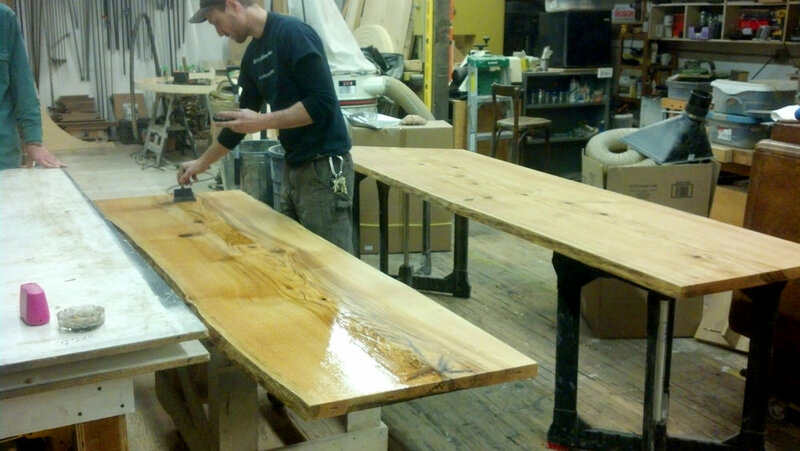 Besides custom-designing furniture for individuals, hotels, restaurants, bars and retail stores, Re-Co Bklyn also supplies these highly sought-after live edge slabs to artisans who appreciate the importance of high quality lumber and ethical harvesting. The company reclaims otherwise-disposed trees from the NYC metro area that fall due to wind and storm damage or real estate development. In 2016 Re-Co Brooklyn experienced strong growth. In order to capture the opportunity to build slab furniture for additional clients and to sell more live edge slabs, the company needed financing. After a straightforward application process, Credibility Capital was able to offer the company a loan, which the company used to finish the installation of both a wide belt sander and a larger dust collection system at the sawmill located in Brooklyn. Vance Zahorski is a passionate fisherman. He has spent over 35 years fishing the waters of Wisconsin and knows everything there is to know about the sport. Over the years, he grew tired of struggling to cut line, sometimes with scissors, other times with knives or even with his teeth. So he developed an innovative product to address this sometimes-frustrating task - a line-cutting ring for which Vance was granted utility and design patents. The rings are sleek, lightweight and durable, and feature adjustable Velcro straps. They can be worn on a finger or mounted on seat posts, rod handles or tackle bags if preferred. Vance sell his products through his website and distributes to dozens of retailers across the US and abroad. Vance also established Thread Cutterz for quilters who were using Line Cutterz rings to cut thread, yarn and embroidery floss. Thread Cutterz has been around for less than one year and is already available in nearly 200 stores. Vance is clearly onto something. He scored a spot on Shark Tank and secured a deal with entrepreneur Daymond John! Credibility Capital approved Line Cutterz for a loan to help produce additional inventory and to fund product line expansion (think thread pullers and other related fishing tools). With his new deal, there's no doubt that Line Cutterz is poised for massive growth and we're thrilled to do our part to help. Svet Zurkov is truly living the American Dream. Born and raised in Bulgaria, Svet has been involved in sports from a young age. In 2007, Svet arrived stateside and founded a fitness company centered around Bulgarian professional training techniques. In a few short years, Svetness Personal Training, LLC has established itself as a premiere personal training outfit in the Washington D.C. area. Svet's success led to the creation of Svetness Fitness and Nutrition Corp., a brick and mortar fitness center. Svet is now focused on making his business a global household name and Credibility Capital is helping finance this dream. William Horner is the President of E Analytics, a financial analytics firm based in North Carolina that provides data-driven insights into real estate investing for both consumers and real estate professionals. William's company had been profitable for years and he was looking to develop a new software technology to catapult his firm to the next level. Credibility Capital spent time learning about William's operations and was confident that his business would be more than capable of repaying a commercial loan with reasonable terms. William is on his way to finalizing his new product and is very appreciative of the role Credibility Capital played. "They took the time to really understand what we were doing. Their process was straightforward, their costs reasonable and their customer service second to none. Whenever someone asks me if I know a reputable business lender, I always direct them to the great team at Credibility Capital." Like any successful entrepreneur, Aaron Dyess has a knack for reinvention. After career stints across the military, aviation and law enforcement, Aaron realized that he was skilled at helping companies across various industries tell their stories. Naturally, he landed on marketing for his next career move and established a full-service marketing firm that specializes in online lead generation and sales conversion. Based in St. Augustine, Florida, Captevrix offers everything from content development to website design to crisis communication, tracking and optimizing results across all initiatives. Their strong track record has resulted in high customer retention and new customer acquisition rates. To support this growth, Captevrix needed to bring on additional staff and Credibility Capital was thrilled to help with a fast, affordable loan. Jenny Lee is an avid health and fitness enthusiast who loves to work up a good sweat. She set out on a mission to provide fashionable and functional athletic apparel and accessories for women who are similarly passionate about fitness. She got started with an online boutique and later opened a brick and mortar store in St. Simons Island, Georgia where local women had to drive for at least 90 minutes to buy similar products. Credibility Capital approved Jenny for a loan to refinance outstanding debt. Now she can realize her dream of increasing local accessibility to high-quality athletic products without paying crippling interest rates.